Redefined Mayhem will be released in Scandinavia on April 23rd, in Germany on April 25th, in Europe on April 28th and in the USA on April 29th through SPV/Steamhammer as CD, double gatefold LP with colored vinyl plus onus track and the CD in a cardboard sleeve and as download. CD and LP have different covers. “Age Of The Joker” sold around 1,200 copies in the United States in its first week of release. The CD debuted at No. 21 on the Top New Artist Albums (Heatseekers) chart, which lists the best-selling albums by new and developing artists, defined as those who have never appeared in the Top 100 of The Billboard 200. 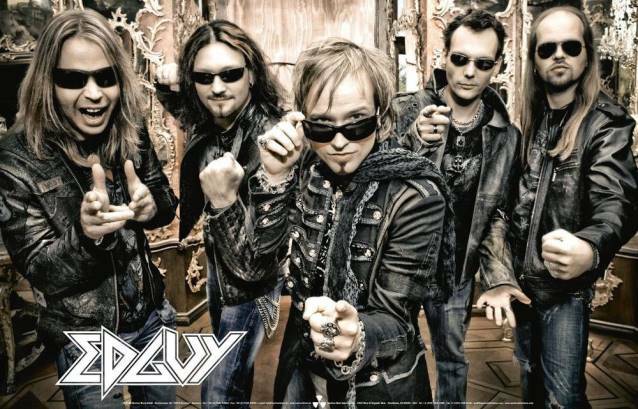 EDGUY‘s previous CD, “Tinnitus Sanctus”, opened with 600 units back in February 2009 to land at No. 88 on the Top New Artist Albums chart. “Age Of The Joker” was released in Europe on August 29, 2011 via Nuclear Blast Records. The CD was recorded at Peppermint Park studio (SCORPIONS, PHIL COLLINS) in Hannover, which was previously described by the group as “a recording temple with a tremendously great-sounding room.” The album features 11 songs with a total running time of over one hour. The limited-edition digipack contains a bonus disc with six additional songs. “Most of you are aware of that [vocalist] Apollo [Papathanasio, SPIRITUAL BEGGARS, ex-FIREWIND] hasn’t been seen much with the band this year. He feels that he needs to slow down and take a time-out from his musical career for a while and focus more on his private life that has suffered from busy schedules. The band fully understands and respects this. “This is nothing new and everyone saw this coming. Therefore, as you have already seen, EVIL MASQUERADE decided to move on several months ago. Now approaching a new album it’s time to officially introduce the new singer. 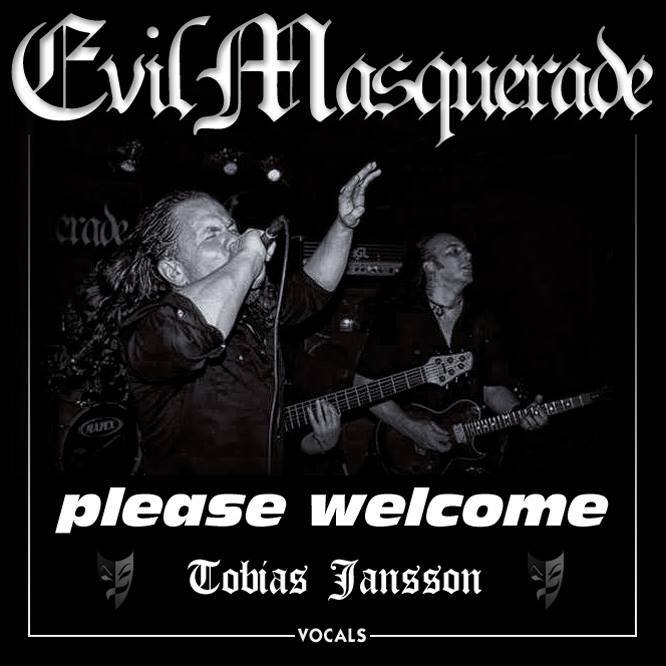 “It hardly comes as a surprise for people attending EVIL MASQUERADE‘s shows this year that the microphone has been handed over to Swedish powerhouse singer Tobias Jansson [SAFFIRE, THE LAW]. In very short time, he has grown close to the whole EVIL MASQUERADE family and the band already sounds like a well-oiled machine live. 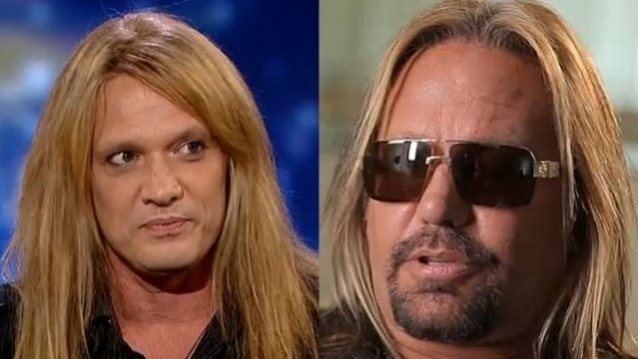 You can look forward to hear him on the upcoming album, ‘The Digital Crucifix’. EVIL MASQUERADE‘s fifth album, “Pentagram”, was released in May 2012 via Dark Minstrel Music. The CD was once again produced by guitarist Henrik Flyman and mixed by Tommy Hansen (JORN, HELLOWEEN) at Jailhouse Studios in Denmark. BLACK SABBATH‘s triumphant 2013 tour — which kicked off earlier this year in Australia — can now be seen by fans around the world via the forthcoming “Black Sabbath: Live…Gathered in Their Masses” (Vertigo/Republic). A preview of “Black Sabbath: Live…Gathered in Their Masses” — featuring the first-ever live performances of songs from the band’s 2013 critically acclaimed “13” album, along with BLACK SABBATH classics — can be seen below. 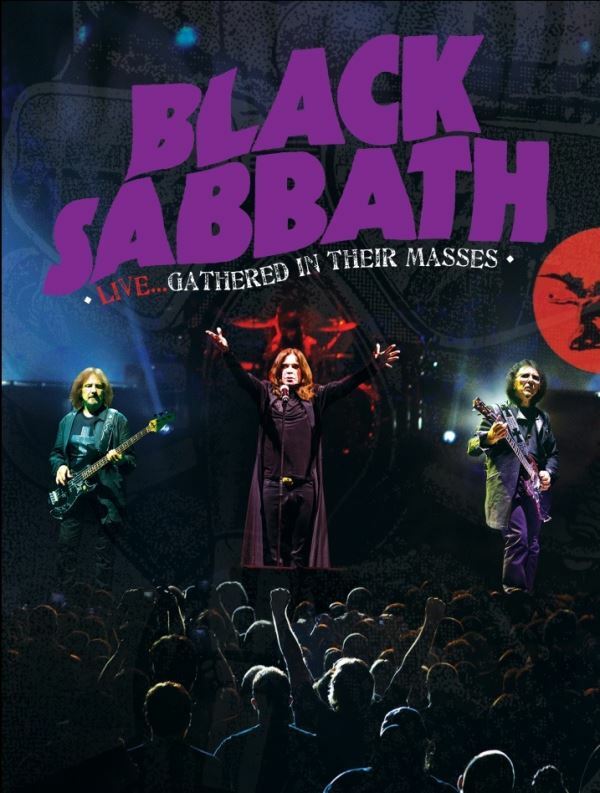 “Black Sabbath: Live…Gathered in Their Masses” was recorded April 29 and May 1, 2013 in Melbourne, Australia when the band — Ozzy Osbourne (vocals), Tony Iommi (guitar) and Geezer Butler (bass) — kicked off their world tour in support of their “13” album, which entered the charts at No. 1 in 13 countries (including their first #1 in the U.S.). Meanwhile, BLACK SABBATH will head to South America and Mexico in October for a headlining stadium tour (where they’re expected to play to more than 300,000 fans) and then on to Europe in November and December. Former MEGADETH guitarist Marty Friedman was interviewed by Aniruddh “Andrew” Bansal on the fourth episode of the “Metal Assault” radio show on the Los Angeles-based station Razor KXRZ.